Adding a stone patio to your landscape is a great way to create an outdoor living space and a place for family and friends to gather. 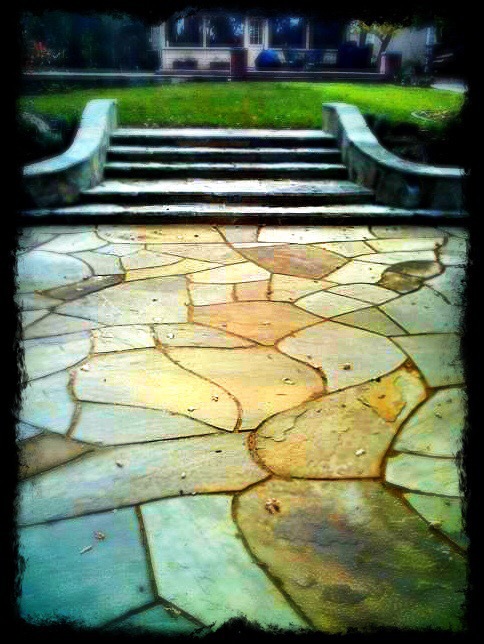 Here at Living Waters Landscaping we specialize in dry laid flagstone patios and walkways. 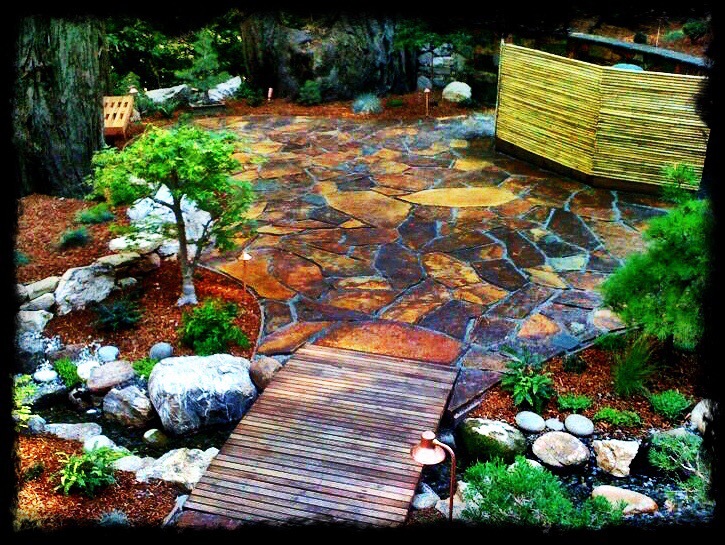 If you are looking for a functional, artistic and natural patio, then a dry laid flagstone patio is the way to go. 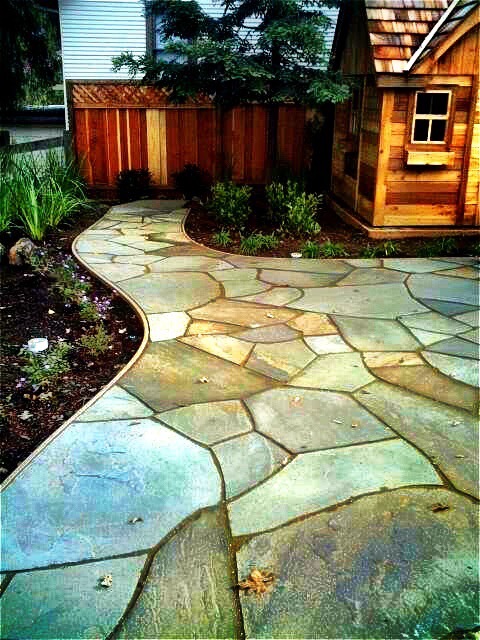 Flagstone comes in a variety of colors and textures. 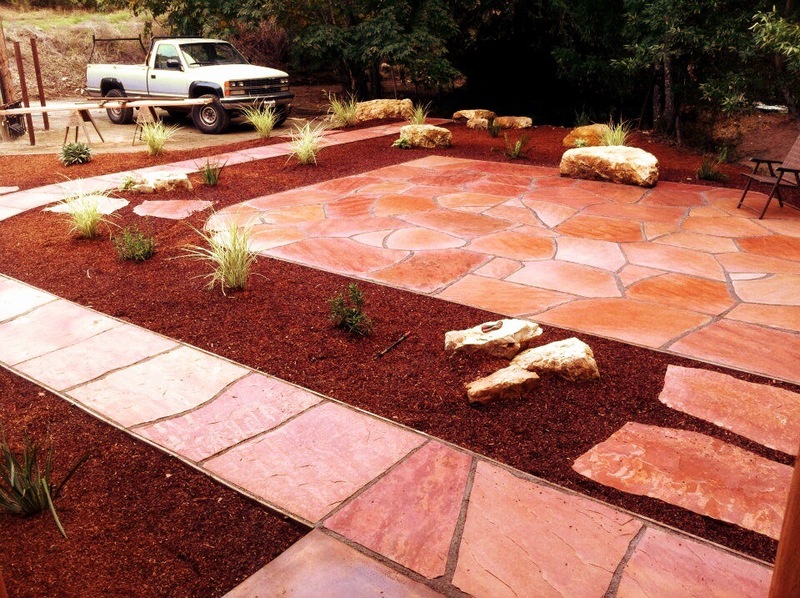 Allowing our clients to choose the colors and style that will match their existing landscape or new construction design. Choosing flagstone for your patio area allows you the freedom of a flat, stable and maintenance free area to enjoy your outdoor activities for years to come. Give us a call for a free design consultation on your patio or outdoor living space.